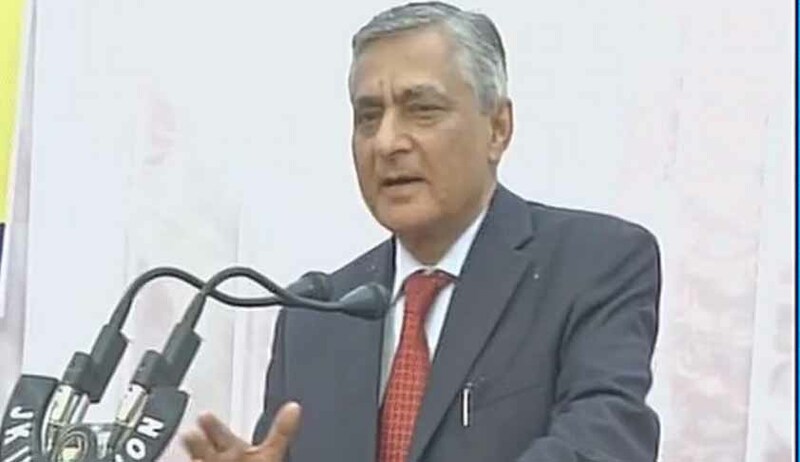 Chief Justice T S Thakur today expressed anger and sadness at the way several lawyers argued together during the demonetisation hearing and said the kind of chaos he is witnessing in this case, he had not seen in the 23 years of his judgeship. The chief justice asked the lawyers, most of them young lawyers appearing for various petitions challenging the demonetization and also others seeking various prayers to learn from the exemplary conduct of seniors like P Chidambaram, Kapil Sibal and Attorney General Mukul Rohatgi who are also involved in the matter. “In my 23 years career as a judge I have not seen such a scene. These are my last days in Supreme Court. I will go with such a bad impression. What kind of memories would I take with me? This is really unfortunate”, he said. The words had its impact as afterwards a semblance of discipline was restored and the proceeding went on smooth with the court seeking suggestions on issues for consideration when the bench will take up the matter next Wednesday. On December 2 the court had deferred the hearing observing that there was "too much chaos" in the hearing due to large number of petitions seeking different reliefs and said there was a need to categorise petitions and streamline the hearing. Then too the CJI had warned the lawyers against arguing together and creating commotion and chaos in the courtroom. Adjourning hearing in the case to Monday 2pm, the bench headed by Chief Justice T S Thakur asked Attorney General Mukul Rohatgi appearing for Centre to sit with Senior lawyer Kapil Sibal and make a list of the cases and identify the issue so that there could be a systematic hearing.